Inauguration ceremony hosted by the founder and President of the group, Dr Eleni Theocharous and attended by an Armenian delegation headed by the speaker of the Armenian National Assembly the Hon. Hovik Abrahamyan. 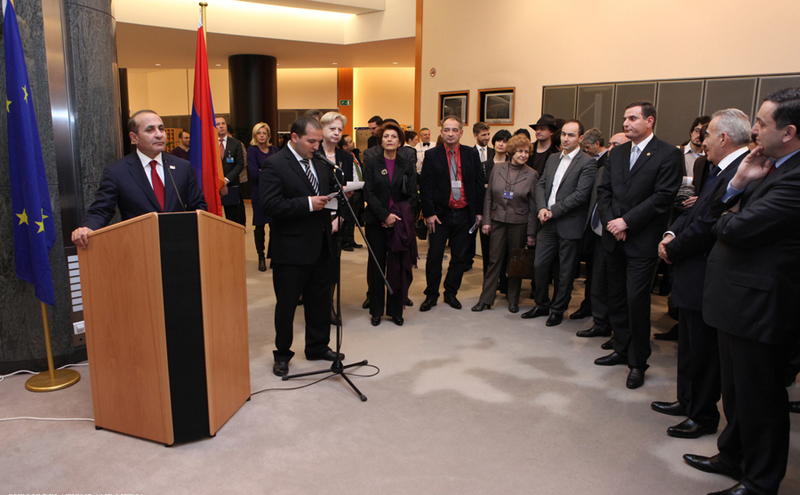 On the occasion of the inauguration of the EU-Armenia Friendship Group on the 9th of January 2013, attendees gathered from both Brussels and Yerevan circles to celebrate the creation of this new European Parliament based body which will be dedicated to deepening and enhancing EU-Armenia relations. 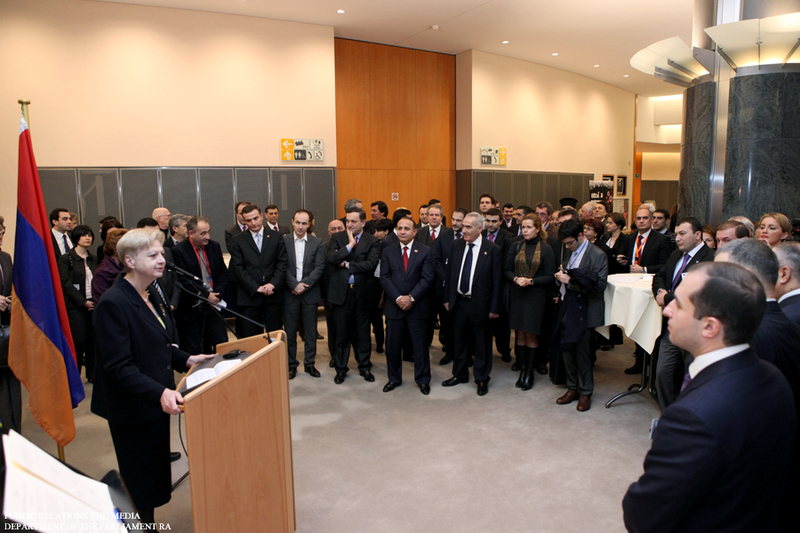 The inauguration ceremony was hosted by the founder and President of the group, Dr Eleni Theocharous, Christian Democrat MEP representing the island of Cyprus, and was attended by numerous MEPs, Brussels based professionals and also by an Armenian delegation headed by the speaker of the Armenian National Assembly the Hon. Hovik Abrahamyan. The Group presided over by Dr Theocharous also includes four Vice Presidents from across the political spectrum of the European Parliament. These include Dr Charles Tannock, UK Conservative MEP for London; Michele Rivasi, French Green MEP for the South East of France. Frank Engel, a Christian Democrat representing Luxembourg and Mitro Repo, a Socialist MEP representing Finland. The aim of the friendship group is to bind together Members of European Parliament who have an interest in Armenia, and will allow closer interaction between Members of the European Parliament and their counterparts within the Armenian Parliament and also officials from the Armenian government. It will act as an advisory body alongside a forum of discussion for all issues of concern and relevance to enhancing EU-Armenia relations.